On 14th day of September, 2018 in Hai Duong Province, the Contract Signing Ceremony for Package No.21: Headworks (civil works and equipment supply & installation) – Ban Lai Reservoir Project – Stage I – Lang Son Province was held by No.2 Hydraulic Project Investment &ConstructionManagement Board under Ministry of Agriculture & Rural Development – the Employer and Song Da 5 JSC Consortium – The Contractor. Mr. Tran Van Lang – Director of No.2 Hydraulic Project Investment &ConstructionManagement Board and Mr. Tran Huu Hung – General Director of Song Da 5 Joint Stock Company, representing the Lead Member of Song Da 5 JSC Consortium and other leaders of Consortium Members were taking their attendance in the signing ceremony. Ban Lai Reservoir Project is invested by Hydraulic Project Investment &ConstructionManagement Board under Ministry of Agriculture & Rural Development. The works is located in Ky Cung River, Khuat Xa Commune, Loc Binh District, Lang Son Province. The Headworks structure is comprised of RCC Dam, Spillway and Inlet Culvert. 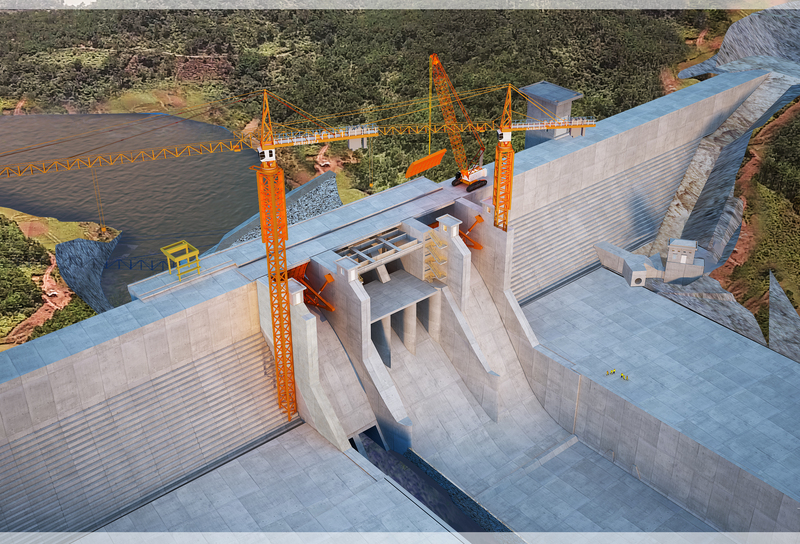 Accordingly, the Song Da 5 will be in charge of civil works of headworks including RCC Dam, Spillway, Bottom Outlet, Plunge Pool and Inlet Culvert. The total earthwork and concrete volume is over 1,2 million m3 and 360.000 m3 in respectively. For all works executed by Song Da 5, the works quality is always considered the top consideration. Giving speech at the signing ceremony, Mr. Tran Huu Hung – General Director of Song Da 5 Joint Stock Company has expressed determination to complete the project which meets the requirement of quality and progress in which safety and friendliness to the environment would be maintained in all construction activities by Song Da 5. With his capability and experience in construction of hydroelectric plants and water resources works which are the largest scale in his country and region, Song Da 5 is entirely confident about the success of this project. Upon the Contract signing ceremony, Song Da 5 has mobilized many construction machineries and experienced manpower to implement the project.